The Tooth Fairy can cause confusion and in some cases, panic, in parents. How much does the Tooth Fairy give? Can she leave nickels and pennies? What if I can’t find the tooth in the dark? What’s her excuse for not showing up one night? Can the Tooth Fairy get stuck in traffic? Of course, a child’s first visit from the Tooth Fairy is a rite of passage, and one that most children look forward to. But a piece of friendly advice from someone who has been there before – be careful that first time. It sets the precedent for all lost teeth in your family to come, and if you set the bar too high you may come to regret it. Not saying you want to be a Tooth Fairy Scrooge, I’m simply suggesting you think things through. 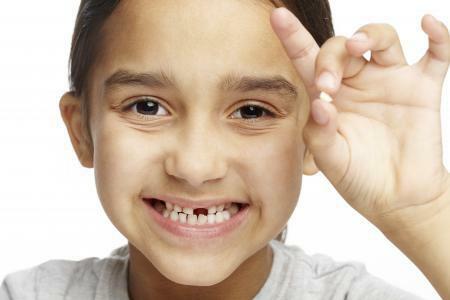 Each child typically loses 20 baby teeth in their childhood years. If you have 3 children, that’s 60 teeth!! At $5 a pop, that’s a lot of money for teeth. How much money the Tooth Fairy leaves depends on a variety of factors, including the size and condition of the tooth or other, less-predictable factors such as how much money happens to be in the parent’s wallet at the time. According to a 2016 survey the average amount for a lost baby tooth in 2016 was $4.66. That’s impressive, considering that in 2015 the average was $3.91. It’s interesting to note that the Tooth Fairy is typically a good indicator of the state of the economy. The patterns closely follow those of the S&P 500. Of course, other families choose to acknowledge lost teeth in other ways such as small gifts or toys. I’ve known children that insist on keeping their teeth and don’t want to trade it for money. Fair enough. Regardless of how your family chooses to celebrate lost teeth, it shouldn’t be stressful. You can use the opportunity to examine the tooth and talk about how to properly take care of the new, permanent teeth that will soon take its place. If you’re about to play first-time Tooth Fairy and would like to talk to a tooth expert, contact us today. We love to talk about all things teeth. In the meantime, good luck and don’t forget to set a reminder for the Tooth Fairy in your phone!